Authentic Japanese sushi bars are not as common as you may think, so when I find one I feel it is my duty to share it! Starting in Arizona, Nori Sushi Bar decided to enter the Los Angeles market and is now a small gem found on the busiest strip of Santa Monica Blvd. in West Hollywood. Nori chose a busy spot right across from an LGBT (Lesbian, Gay, Bisexual, Transgender) center and several other major chain restaurants. Foot traffic is crazy here, so visibility is not a huge problem. However, since there are chains, you would never guess as a local that a gem is right on the strip. The space is small, but modern and clean. Nori accommodated the local needs by having a patio with outdoor seating and a full bar – people here love to hangout somewhere and drink. 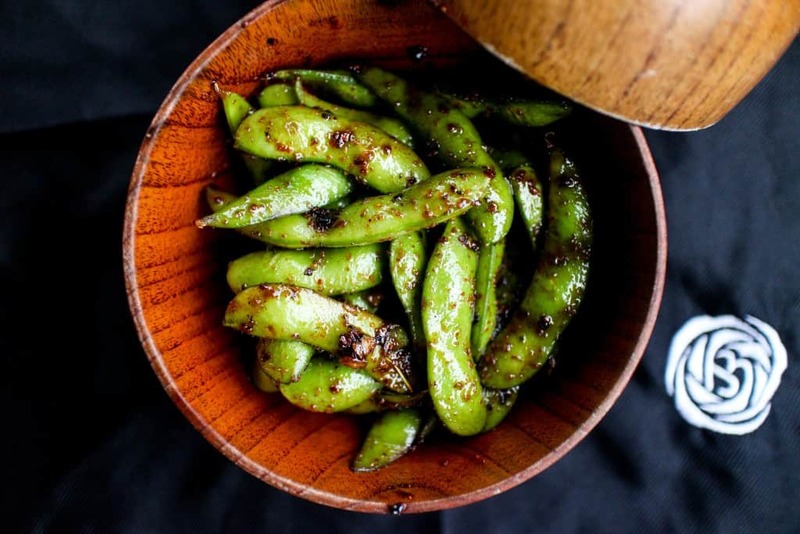 Nori’s menu is full of delicious shareable items as well as traditional omakase (chef’s choice) sushi. The chef is very picky with his ingredient selection and cares about presentation. Nori has some of the best plating I have ever seen at a sushi place in LA. To share, I love the lobster tail tempura and garlic chili edamame (Japanese soy beans). 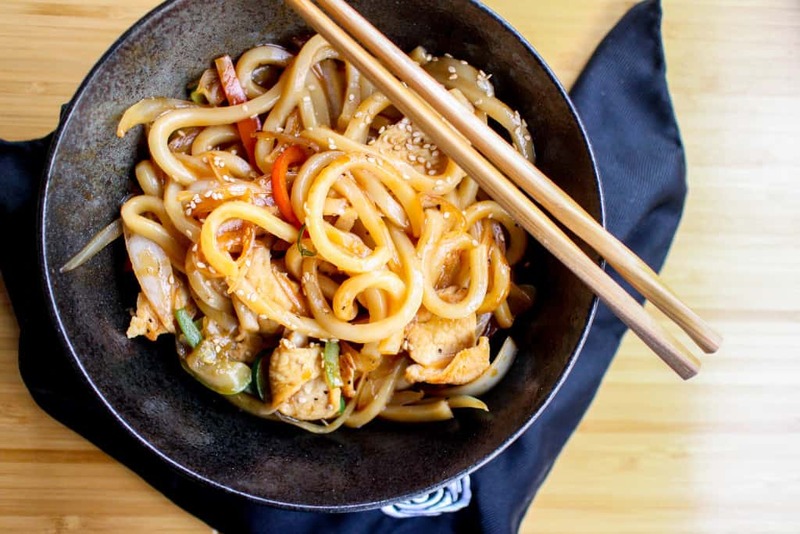 The yaki udon (thick udon noodles cooked in a sweet house teriyaki glaze) noodles were so salty and sweet and delicious. 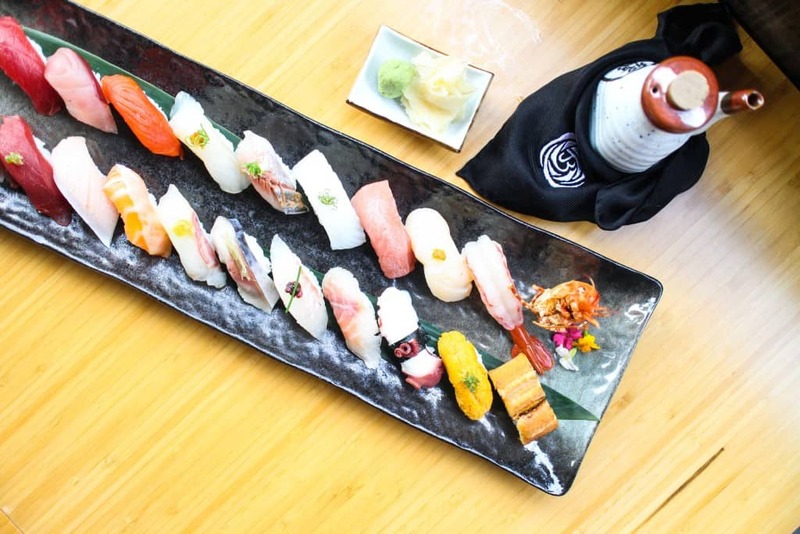 The premium omakase sushi platter is exquisite with some of the highest quality fish in LA. They melt in your mouth, especially the classics like salmon, tuna, yellowtail, halibut…you can’t go wrong! Finally, you must get the dessert here. I have had three of Nori’s desserts and they are all delicious. The mochi ice cream is a Japanese classic – sweet, sticky rice cake with green tea ice cream inside. The tempura ice cream (deep fried green tea or vanilla ice cream on top of a pound cake with whipped cream and berries) was beautiful. 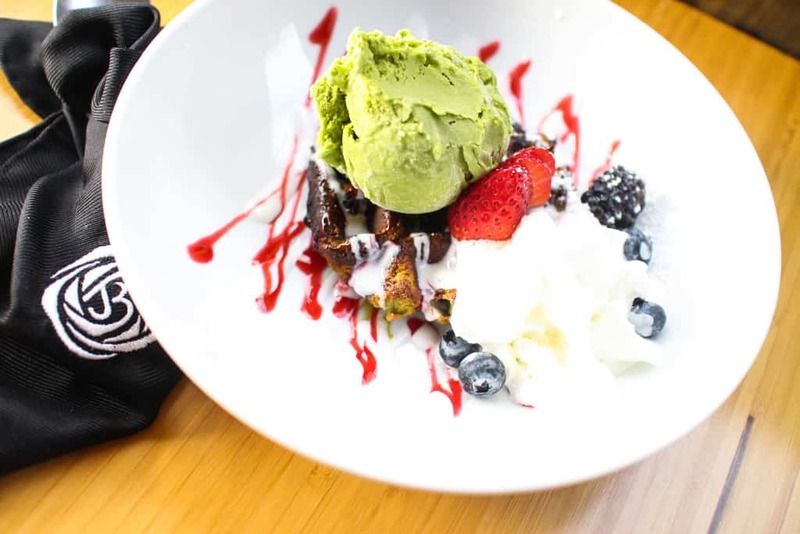 Finally, the crispy green tea waffle was just divine – crispy sweet belgian waffle with a matcha batter with fresh fruit on top (I strongly suggest adding a scoop of ice cream on top). If you are in WeHo visiting for the day, sit on Nori Sushi’s patio for perfect people watching and enjoy some good food.